Sony is replacing their good old building in Ginza, Tokyo, with a brand new and shiny one. And just before they start tearing down the current one they're running an exhibition with a really decent selection of Sony products having been launched over the years. Starting with the 1950's ranging right up to today. Really enjoyed it! ...and the last one is a bit meta. Shot with an RX1. The Sony Building is right next to the Ginza subway station, exit B9. Being teared down starting early spring of 2017. Busan. At 15 feet under. And then you find yourself bouncing around, two stories below ground, in the early hours of a random Sunday. In Busan, Korea. Brilliant looking lock mechanism, keeping your shoes safe in a box while you do the onsen thing. Close the door, pull out the wooden block and boom, that's your key. Mira Moon is a boutique hotel tucked away a few blocks from the Causeway Bay MTR station, with good service and nice interiors bordering on being playful, providing a pleasant overall experience. And they run a rabbit theme throughout the hotel, too. Can't be bad. I ended up staying at the Mira Moon after having ejected myself from a rather horrible hotel experience, needing a decent stay spanning a few nights. I stumbled across this property, went with it, and was pleasantly surprised. The building is a tall, slender thing with a kind of confetti light pattern going on at night. Easy to spot when walking along Marsh Road coming from Hennessy. A couple of elevator zips you up to the lobby, with room floors stacked on top and there's kind of an intimate feel to it all with only four rooms on each floor. And even though buildings are all around, corner rooms facing to the north-west has a decent veiw towards Kowloon and the ICC skyscraper. Speaking of the ICC, regular Mira Moon rooms aren't super big compared to what you may find that the Ritz Carlton, with most of it being occupied by the bed, but that's not really an issue. The bathroom on the other hand is quite big with a large freestanding tub placed next to the windows, and a decent set of the amenities you'd expect. And they've done a kind of Andaz type move with the minibar, and won't charge you for sodas. A nice touch. 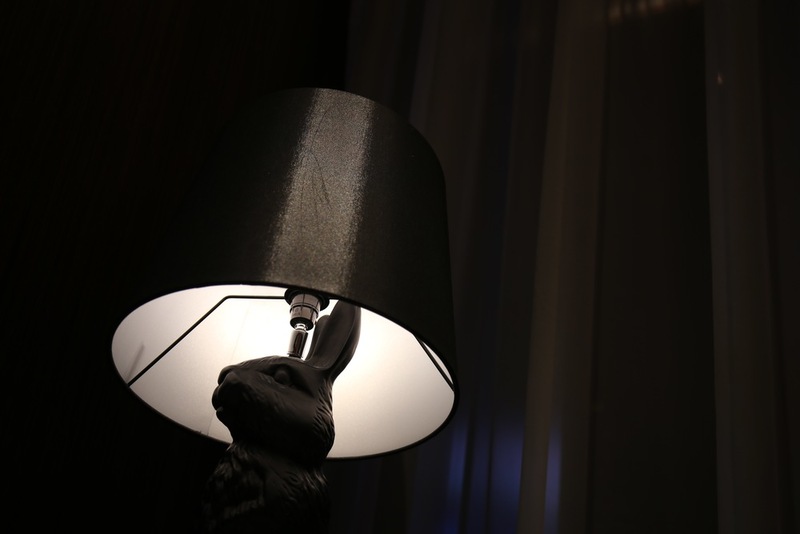 Also, rabbits seem to be a significant part of the Mira Moon branding featuring both in copy and desk lamps, and they do add to the experience. So yeah, you can't really go wrong with this one. A good choice if you're looking for a place to stay in Causeway Bay. Tons of things are nearby with the Causeway Bay MTR station a few short blocks away and Wan Chai is pretty close, too. If you want a super quick meal, Cafe De Coral has a branch two blocks away. And for shopping, the Hysan Place (featuring an Apple Store), Lee Gardens, Times Square malls are all a few minutes away on foot, along with a ton of individual stores. I haven't tried the hotel restaurant and bar offerings, but judging from looks only they seemed to be perfectly decent. Mira Moon is a short, six-minute cab or Uber ride from Hong Kong station where the Airport Express terminates. And should you want to use public transportation instead, the Causeway Bay MTR station is a few blocks to the east.